HYDE PARK — A University of California Los Angeles researcher and a Chicago historian are about to take people closer than they’ve ever come to walking through the 1893 World’s Columbian Exposition. 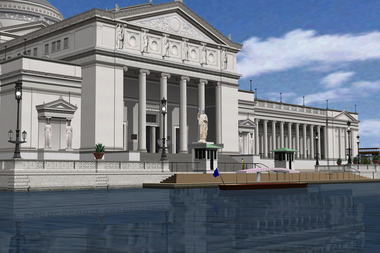 On Oct. 24 at the Museum of Science and Industry, Tim Samuelson, the city’s cultural historian, will lead a tour through a massive virtual reconstruction of the Columbian Exposition created by research scholar Lisa Snyder of the Institute for Digital Research and Education at UCLA. 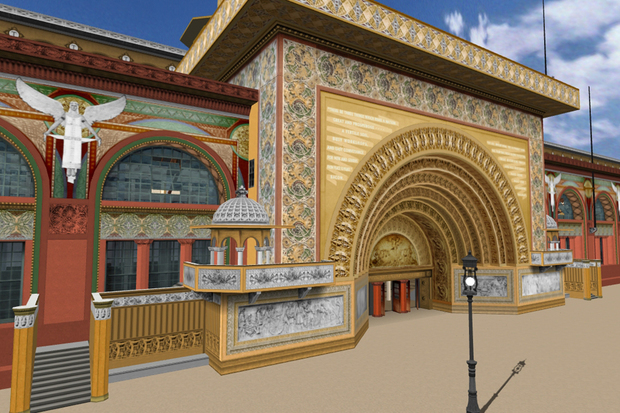 Since 1997, Snyder has been working on a virtual reconstruction of the fair to give people a sense of what it actually felt like to walk among the buildings. The fair was massive, stretching from Lake Michigan to Washington Park with more than 200 buildings, almost all of which are now gone. Even a quick glimpse of Snyder’s work makes it clear how minor some of the surviving buildings were. The current Museum of Science and Industry, which was the Palace of Fine Arts during the fair, was absolutely dwarfed by the Manufactures and Liberal Arts Building. At 11 a.m. Oct. 24 at the museum, 5700 S. Lake Shore Drive, Snyder will be zipping between the sprawling complex of buildings she’s so lovingly recreated as Samuelson gives commentary. Snyder has been working on the reconstruction in her spare time for 18 years and admits she is nowhere close to being finished. She said it took her a year just to get Wooded Island right and to make sure all the views were as Frederick Law Olmsted designed them. She said she still has 24 of the 38 state exhibition halls to finish and now admits it’s a project that won’t be finished in her lifetime. “The children in the audience will finish it for me,” Snyder said. But Snyder’s version of the fair is much closer to being a place where people can virtually wander on their own. She said computers have now advanced to a point teachers don’t need massive amounts of computing power to run the simulation. She said she’s already tested allowing students at an Indiana high school wander through the fair after reading in class “The Devil in the White City,” a novel set at the fair. On Oct. 24, Snyder will be in control of the tour, but it may not be much longer before others can lead their own tours and start working themselves on rebuilding the fair. Tickets for the presentation are $25 and can be purchased on the museum’s website. The Transportation Building is one of Snyder's most recently completed buildings of the more than 200 that existed at the fair. 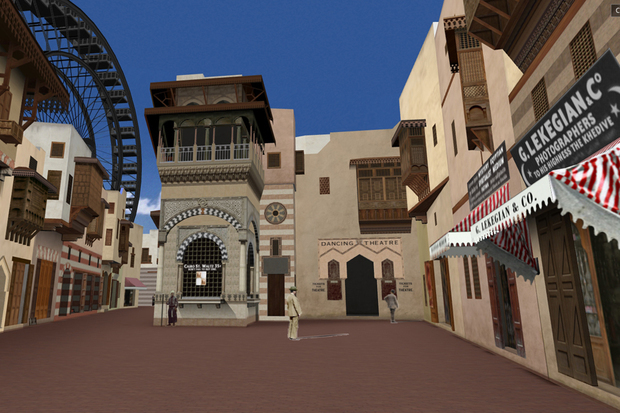 The Street of Cairo that once stood on the Midway Plaisance is one of the most detailed parts of the virtual reconstruction of the Columbian Exposition.